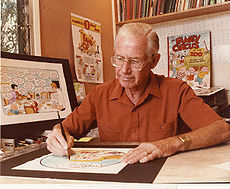 Bil Keane, the creator of the “Family Circus” comic, died this week at the age of 89. 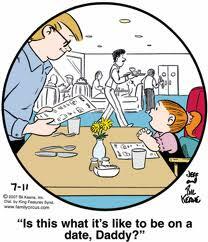 His comic strip put smiles on the faces of readers for over 50 years with humorous moments in the life of a family that could have been yours, mine, or any average family. If the life of Daddy, Mommy, Billy, Jeffy, Dolly, and P.J. 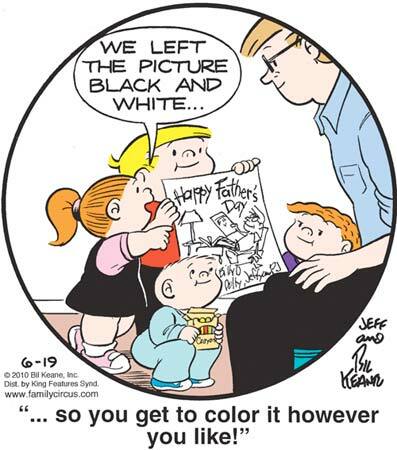 in “Family Circus” gives us a picture of the Keane family, it’s pretty safe to say Bil was not only a talented cartoonist, but more importantly a great dad. As his son Jeff told the AP, "He was just our dad. The great thing about him is he worked at home, we got to see him all the time, and we would all sit down and have dinner together. 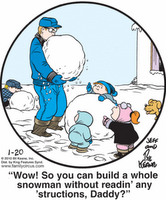 What you see in the 'Family Circus' is what we were and what we still are, just different generations." Thanks, Bil, for sharing your family with us through 50+ years of fun and endearing comics. Our condolences go out to your loved ones as they mourn your passing.